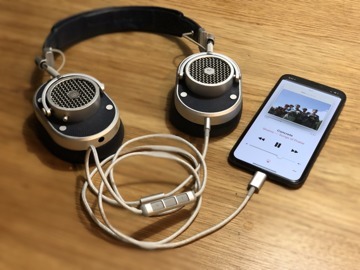 Premium headphone maker Master & Dynamic began offering an in-house way for its customers to plug its gear into Apple's latest iPhones without the need for a Lightning-to-headphone adapter. 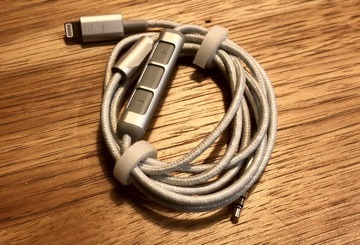 AppleInsider got its hands on the new cable and offers a first look at the accessory. 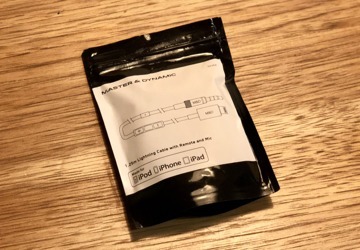 After the new Lightning to 3.5mm Audio Cable was announced on Tuesday, Master & Dynamic provided AppleInsider with a sample of the 3.9-foot cord. While it is priced at $69, customers have until April 29 to save 50 percent with the discount code CABLE50. 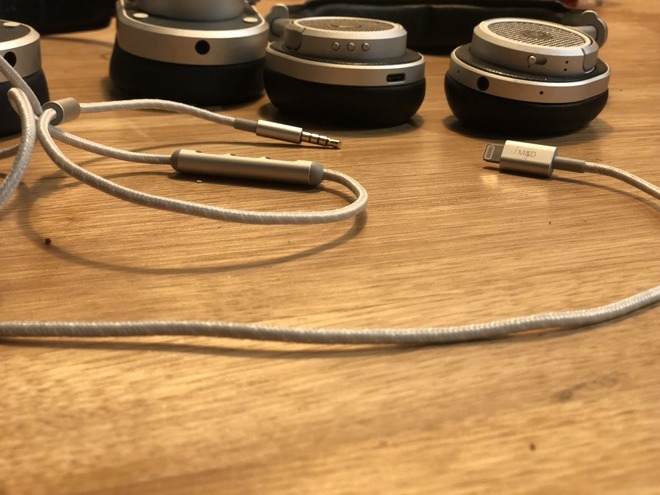 We were provided a silver Lightning-to-headphone cable, which matches our MH40 wired headphones and MW50 wireless (which can also be connected through a wire). 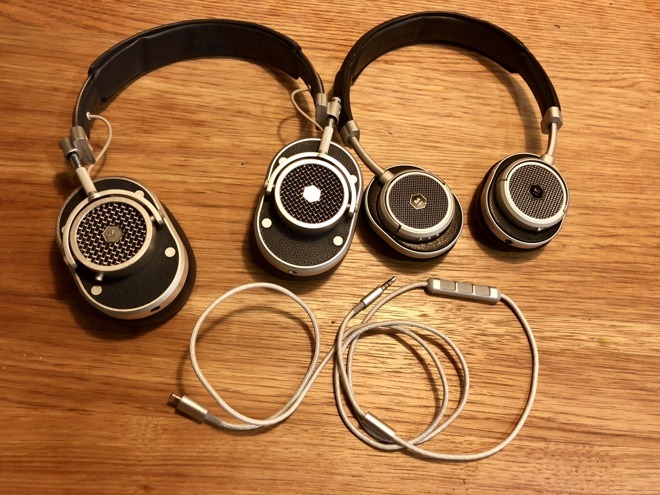 We tested the cable not only with these Master & Dynamic headphones, but also with a few different brand headphones, and can confirm the cable will work with non-Master & Dynamic accessories. The company says the cable also works with its MW60 wireless and MH30 wired headphones. 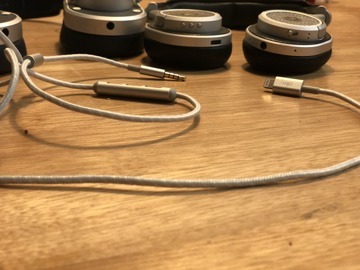 As you'd expect, the cable includes a male Lightning connector on one end, while the opposite end has a standard 3.5-millimeter jack to plug into the headphones. 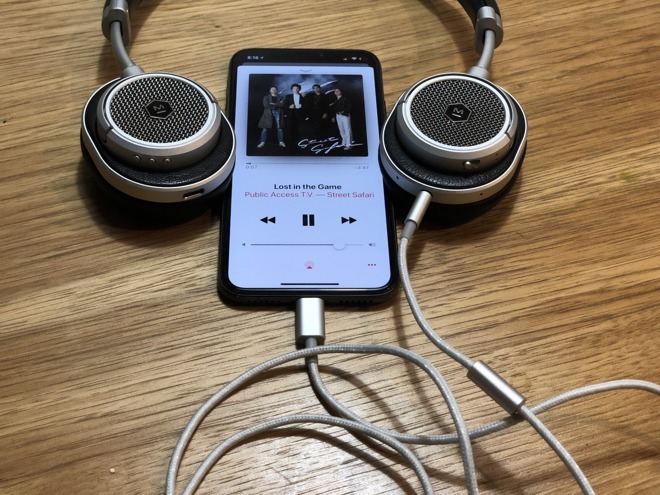 Our initial tests resulted in sound as you'd expect —excellent quality with the premium-priced headphones, but not discernibly different from the standard 3.5mm-to-3.5mm cable used with a device equipped with a headphone jack, like a MacBook Pro or iPad. The cable includes a digital to analog (DAC) converter, which the manufacturer says provides "acoustic benefits." The DAC is, of course, necessary because the digital audio output by the Lightning port on an iPhone or iPad must be converted to analog. Newer iPhones without headphone jacks ship with a simple AMP/DAC dongle that converts the Lightning port to a 3.5mm headphone jack, allowing legacy headphones to connect. But the new Master & Dynamic cable allows any headphones with a 3.5mm input to connect without the need for a dongle. Like other Master & Dynamic cables, the Lightning to 3.5mm Audio Cable is made of woven fabric that makes it less likely to tangle. It also includes a remote with volume controls, and a play/pause button that can also invoke Siri. And it has an inline microphone for calls, Siri and other voice functions. In addition to the silver cable we checked out, the accessory also comes in black. 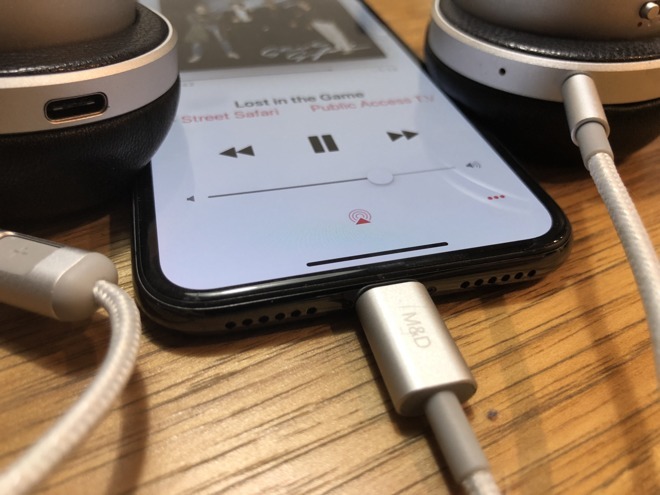 The company also offers a USB-C to 3.5mm Audio Cable that is advertised for "Android devices," but presumably this cable would also work with Apple's latest MacBook models, for those looking to avoid using the headphone jack entirely. Notably, the Lightning adapter carries a $20 premium over the USB-C cable, likely due to Apple's Made for iPhone licensing fees.